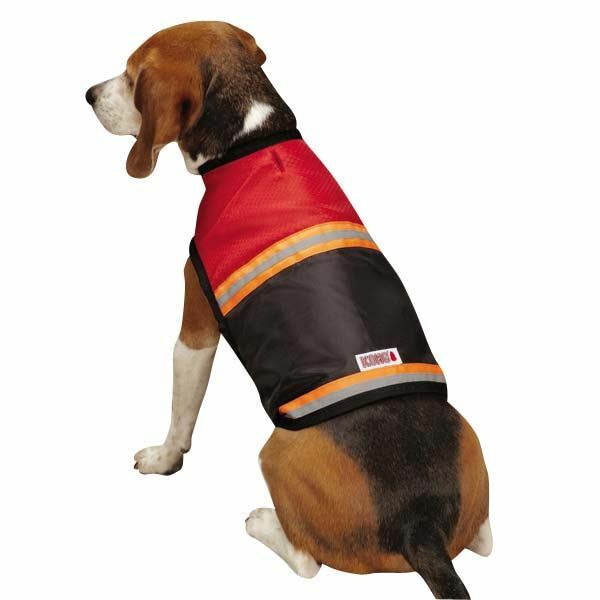 Provide dogs with durable protection during outdoor excursions with the KONG® Red Reflective Safety Dog Vest. 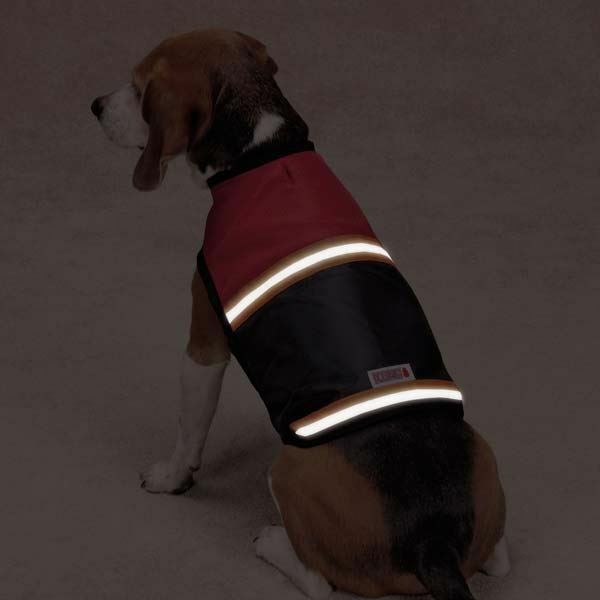 The Red Reflective Safety Dog Vest is a rugged, quality-made vest for the outdoor dog enthusiast! 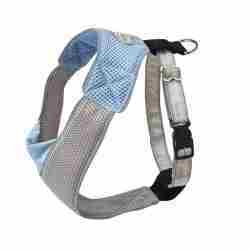 Comes with neck and belly adjustable Velcro® straps for optimal fit. 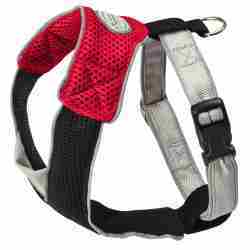 A well reinforced slot on the back at the neck line allows easy and convenient fastening of your leash and collar. 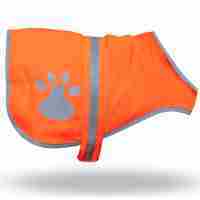 This is a very well made safety vest for your dog. See our "Why We Like..." tab for more details. 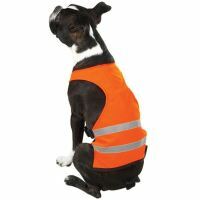 We like that this Red Reflective Safety Dog Vest is a very well made garment. The outer shell includes a durable polyester ripstop fabric. Ripstop fabrics are woven fabrics, using a special reinforcing technique that makes them resistant to tearing and ripping. During weaving, (thick) reinforcement threads are interwoven at regular intervals in a crosshatch pattern. 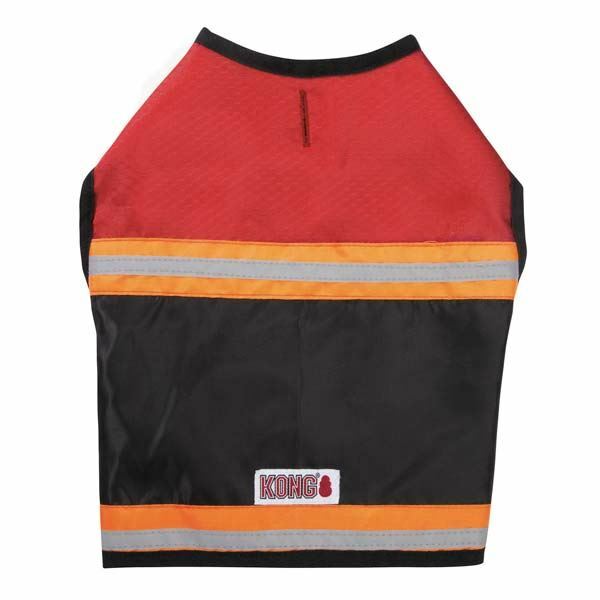 The inside of the vest is a cool, comfortable woven mesh design that will help keep your dog happy on his outings with you. We like the reflective ribbon strips on the back of the vest. There are two reflective ribbons, one at the waist line and one placed mid-back for extra visibility. This is a nice safety plus for evening and night time walks.